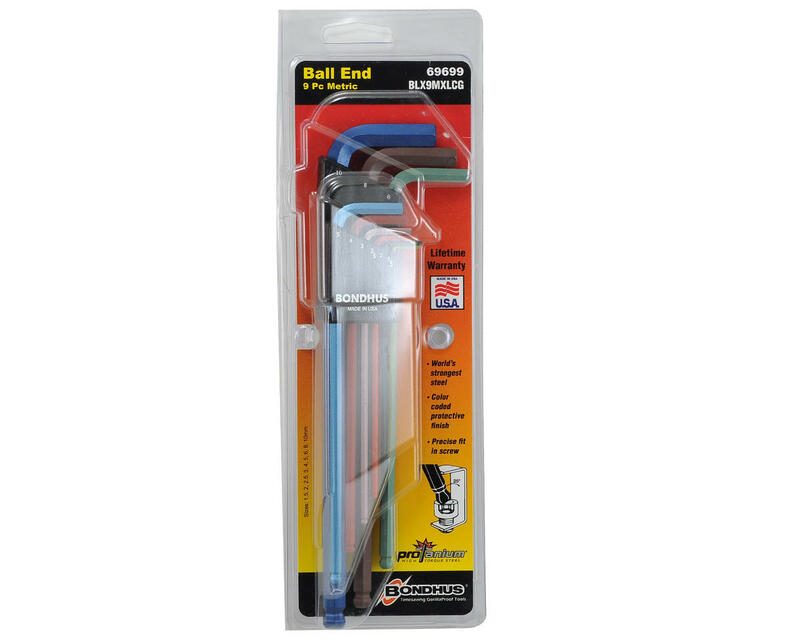 This is the Color coded "Colorguard" Bondhus Ball End L Metric Hex Wrench Set. 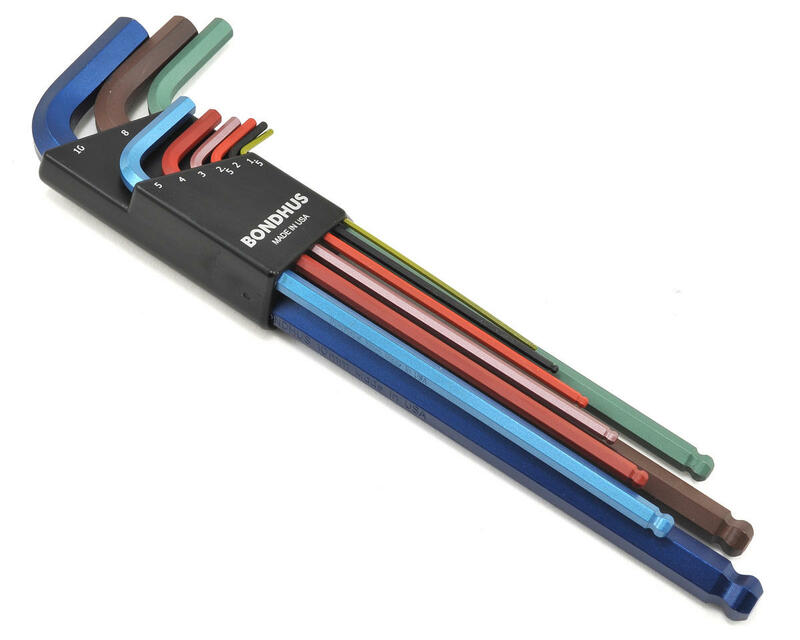 If you ever go to reach for that hex key and realize that you grabbed a 4mm and needed a 5 or vice versa, then you understand why we like this color coded set from Bondhus so much. Every size you will ever need from 1.5 to 8mm and all color coded so you will never mix them up again. The 2 most common, 4 and 5mm, are even red and blue so it is easiest to tell apart. You gotta love it.